When Tech’s 2,575 freshmen started fall semester Monday they represented Tech’s most diverse class. The Fall 2011 class includes more Latino and African-American students and 1,039 women. That is a record for female freshmen and represents an eight percent increase from three years ago. Tech is a world-renowned university and it reflects in the wide array of students from different cultures, ethnicities, political affiliations and even financial backgrounds. It is not only the students that come from diverse backgrounds. The faculty members also represent a myriad of countries, cultures and backgrounds. Statistics published by Tech show that the largest ethnic background in the freshman class is Caucasian at 58.1 percent, followed by Asians at 24.9 percent and Hispanics at 6.80 percent. The rest of the student population is spread pretty evenly between African American and Multiracial ethnicities. There is also significant geographic diversity with 30.6 percent of the freshman class from outside Georgia and 9.6 percent of the class comprised of international students. 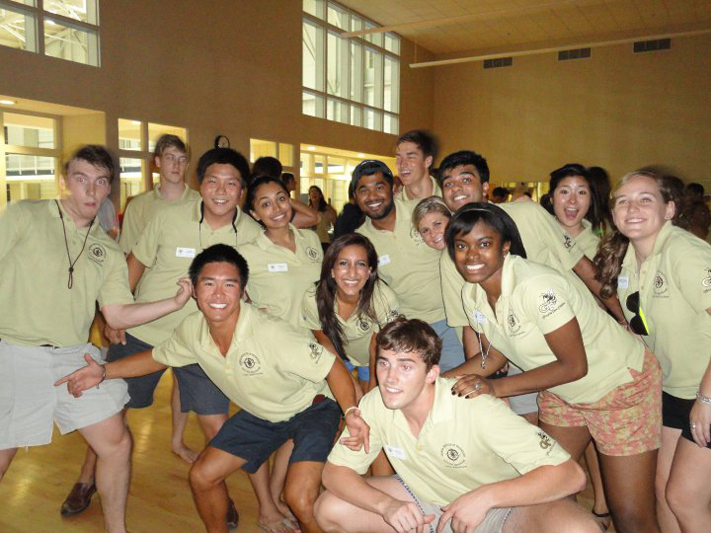 Overall, the students that make up the 2011 freshman class represent 48 U.S. states and 38 countries. In comparison to other schools in Georgia the demographic statistics for Tech display greater diversity but do the students perceive it that way? Is Tech truly as diverse as the statistics suggest? Is campus culture as inclusive an inviting of the diverse demographics as it is to locals or does it discourage diversity? “Every year we have different events such as the international food festival that allow students to learn and experience other cultures,” said Aaren Fowler, a fourth-year BA major. There are programs at Tech to help students from different backgrounds. The Office of Minority Education and Development’s Educational Services is the unit charged by Tech with the retention, development and performance of the complete student learner within groups that are traditionally underrepresented, including African-Americans, Hispanics and Native Americans. The ADVANCE Program takes institutional approaches to increase the representation, full participation, and advancement of women in academic careers in science, technology, and engineering, thus contributing to a more diverse workforce, locally and nationally. There are also programs and scholarships for Hispanics, women in Engineering and African American engineers. “Clubs such as India Club and others not only allow students who are of that ethnic background to participate and feel welcome but the clubs also encourage other students to learn about these different cultures. I really enjoy this campus because of its diversity. Every type of person is welcome here,” said Njeri Chasseau, a third-year BA major. Tech students perceive this diversity in their everyday lives. “I had a Nicaraguan roommate, Indian roommate, Venezuelan roommate, Egyptian roommate and a Chinese roommate. Hanging out with people from different cultures every day, I learnt how to challenge my beliefs and be accepting of varied opinions,” said Kelly Hefelfinger, a fifth-year ME major. “Soccer is my favorite sport and I met people from all over the world playing at the SAC fields while at Tech,” said Rohan Muthanna, IE ‘11. The diversity of Tech’s campus offers great benefits to students and professors alike. Students get to learn about different cultures and understand the nuances of interacting with people from backgrounds different than theirs. Professors get to teach students with very different thought processes and ideas, thereby making the student-professor exchange more interesting and productive. Tech’s diverse culture is very tangible and is perceived and experienced by students, faculty and administrators on a daily basis.